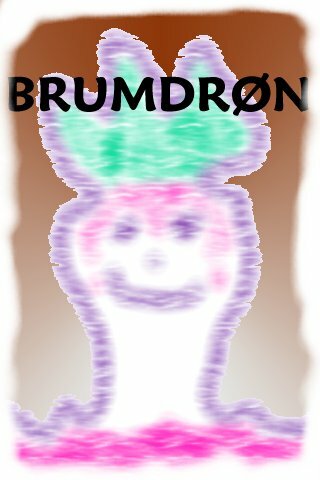 Welcome to the homepage of Brumdrøn! What has happened is that I've been on a højskole and had loads of fun with lots of fantastic people. After my stay at the højskole I started working with a guy called Sadegh Javadi who works at Det Danske Videoværksted. Sadly things didn't work out too well and it all ended with me telling him that things didn't work out. All of these experiences have filled my heart with new inspiration and the muses have already spoken to me of a new EP! That's all for now. I promise to update more often from now on. Stay brum! That's right! The new Brumdrøn EP is finally finished. Its release date is set to nov.15th '04 and is available at our friends at BSBTA! You'll hear me working with new and innovative technologies (like the guitar), so go and get it before your neighbour! There is also a new little piece of goodness in the music section. Finally, please remember to write in my guest-book. After handing in a big report at school I'm ready to put the finishing touch on the new masterpiece. Four songs including the trilogy about Flemming are ready to rock your socks. I must admit that the guitar song is causing a little more trouble than I expected... It's not as easy as it seemed! 04-06-08 News about the new. At this time I'm working on two projects. A new Brumdrøn record, which is most likely to become an EP like "Hjernefar kommer til fadet". If my friends at BSBTA choose to distribute this as well it will be attainable there. February 04 The free Danish music magazine Geiger has published a lovely article on BSBTA, in which they also write about my humble EP "Hjernefar kommer til fadet". Well, we've gone online again. This time right here on www.brumdron.dk. Tell your friends!! My very first EP, "Hjernefar kommer til fadet", has recently been released on the label Bloated Sasquatch Beer Theatre Audio (BSBTA). Hurry up and get yer arses over at www.bsbta.dk. I'd be happy to compose something especially for you whether we're talking film-music, commercial spots, music for a play or just a different song for your band.